This Bellini for me? Ain't you a pureed peach! Most of us can’t claim to have a 100-foot yacht, 10 personal assistants, and our own private island. That privilege belongs to me. These lavish riches are made possible by blogging about cooking and banging in my drafty garage. Sorry, suckers. But fear not, for you can simulate this dilettante existence with a few simple adjustments: Cook with real potatoes rather than microwave tater tots you bought with food stamps; light your dining room table with candles instead of your Winnie the Pooh nightlight; make a classy drink from scratch rather than drink 3 bottles of Night Train in front of the Home Depot. Easy enough even if you don’t light your Cuban cigars with $100 bills like me. 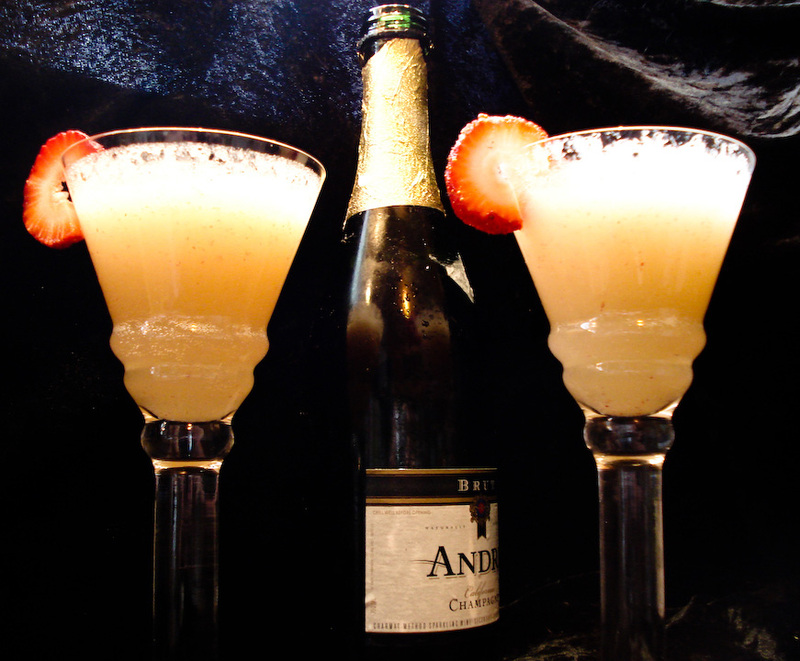 May I introduce this bubbly taste of class known to the civilized world as the Bellini? It’s like a Mimosa remix that keeps them coming back for seconds, thirds and their tenth glass. And what perfect timing with Valentines Day around the corner! Serve this with dessert or the morning after following a night of carnal consummation. You could also just pour it all over your naked body and invite your sweetie to lick you clean. Regardless, know that you are in fact a peach. Chop up the peaches coarsely. 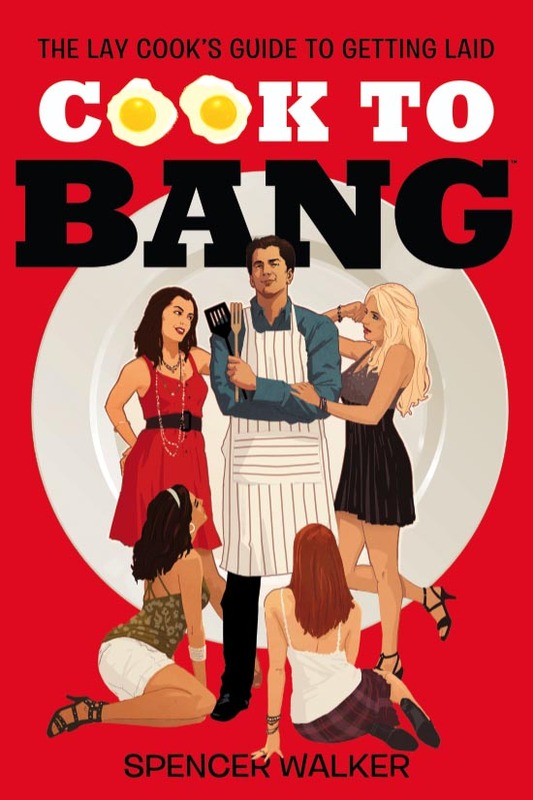 Throw the in a blender with enough champagne to help them puree. Slice strawberry into thin round slices to rest on the edges of the glasses. 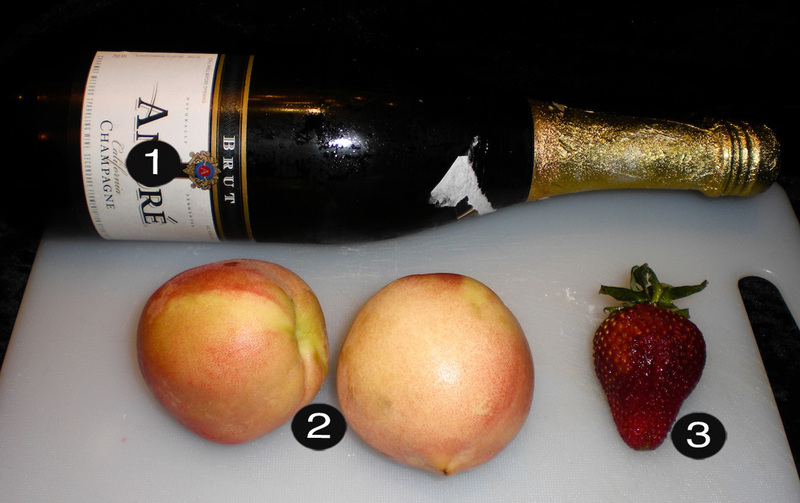 Pour in ½ peach puree into each glass before filling each up with champagne. Pour gently and allow bubbles to subside before filling to the top. See that person staring back at you in the mirror? I’m so very proud of them.